Do you remember when you had to wait 20 seconds to download an image from a website? I do, and it sucked big time. The web before broadband was a major headache. If you wanted to share information with other users you had to keep the number of images to a minimum and rely mainly on text, which was much quicker to load. Behold, the first website on the Internet. 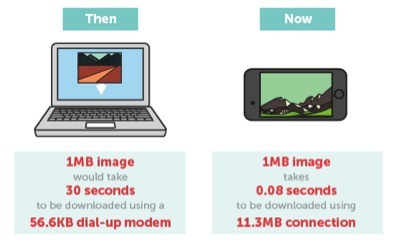 Thankfully, Internet connections have improved dramatically, and now it’s normal to have over 10MB/s—even on mobile. Pre-broadband, the written word was the fastest method of getting your message out there to influence/engage/persuade people online. Once broadband became the norm, images and videos became a popular way of connecting with audiences. This opened the door to a wide range of opportunities in terms of marketing. What’s So Great about Visuals? Our brains are wired to understand images much faster than text. This makes more sense when you put it into an evolutionary context: humans had to use visual cues before they started reading and writing. Our brains adjusted over millions of years in favor of those with a better sense of visual awareness—they survived, reproduced, and thrived. Yes, We Can Understand Images Easier, but Why Is This Such a Big Deal? There has been a massive increase in the amount of information we receive each day. I bet you can relate to this increase by looking at how your online experience has changed over the last five years, with social media platforms leading the way in information overload. To deal with this overload, we adjusted our behavior by filtering out the noise and consuming only the information that made sense. Visuals help to overcome that need to filter as they offer something we can digest and understand easily. Several studies show that our brains are hardwired to consume visuals, and that they help us improve understanding when accompanying text. 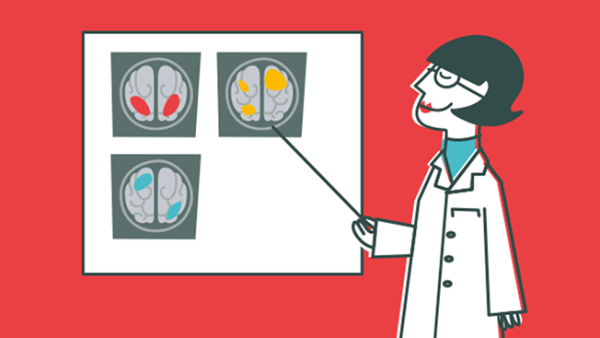 In a study looking at medicine labels, scientists saw 15% increases in the rate of understanding for patients reading medicine instructions including text with pictures. I doubt there are many medicine label designers reading this, so why do visuals make sense for online marketers? Analyzing how brands are working with content online is a great way to see what’s working. Looking at 30,000 brand Facebook pages, a study found that 87% of the posts with high sharing metrics included images. No other content type even came close. On Twitter, the relatively new incorporation of the photo URL has shown to provide a 35% increase in the potential for that Tweet to be retweeted to other followers. The amount of information we receive is expected to continue increasing, as will our noise-filtering abilities. Image-based content allows marketers to engage with users more easily without forcing them to do any hard thinking. Takeaway: For future marketing campaigns, look at how you can reduce noise and use visuals to support your audience’s understanding. 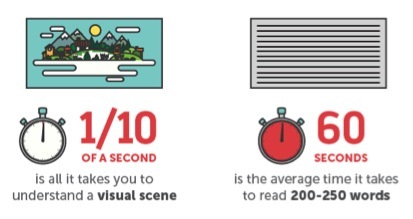 For more information about why your brain loves visual content, check out the infographic below, based on our interactive 13 Reasons Why Your Brain Craves Infographics.